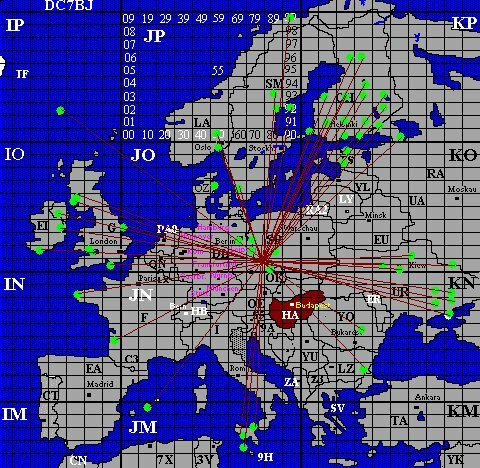 The past 2 years my radio-activity was limited to the (very nice) HF contest activities at the PI4COM clubstation and occasional HF DX hunting from that same location (only 2 km from my house). As soon as our 2005 vacation was discussed I decided to try and bring my radio with me again like in 2002 when I signed SV9/PA1AW/P. When we decided the 2005 vacation would be a combination of a family holiday in PA and a trip to the South-West of Poland, it was clear that HF radio would be of low interest to the DX-community and that is when I decided to bring in VHF for this trip. In the 1980’s I was a dedicated VHF DX-er until the moment I had to change QTH and ended up in QTH no good for VHF at all. Since our last move in December 2003 I have been planning to re-build my station for VHF as my new QTH is suitable for DX on 6 and 2 meters again. Building the home station goes really slow due to several non-radio related issues the past year but interest for VHF continued to grow again. This trip would be my chance to get back in action and return to 6 and 2 meters, although it would still be a side-kick to the actual vacation trip. 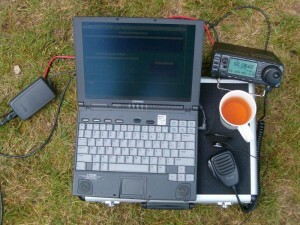 Apart from my little Icom IC-706Mk2 I had no equipment available for portable operation. So decisions had to be made what antenna’s to take with me. When I ran into an Icom AH-4 antenna tuner the HF antenna was ready. I took the AH-4 in combination with a 12m fibreglass pole and some wire. Tests in the backgarden proved this would work and that was all I needed for this trip. For VHF I decided to go for a small quad antenna as this would allow small transport dimensions. GB antenna’s prepared a combination quad with 2 el. On 6 and 4 on 2 meters. So, the radio part was ready. Now we needed to sort out logging. I have an old but small Compaq laptop which I loaded with EI5DI Software. This was actually done only a day before leaving home. Up to that moment I had planned to use manual logging and CW from the memory keyer. The was not working so the PC was my alternative keyer…..
During the family holiday I tested the configuration a bit and made only 1 qso on 6m (CQ3A) and a handful on 40 and 20 meters. Testing made clear some improvements were needed but luckily I had some time left before leaving for SP6. 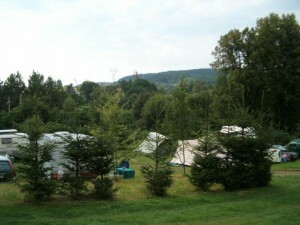 In Poland we stayed at the BODUWICO camping which is situated in a beautiful scenery on a hill-side. The only thing is that the hill totally blocks the south view. I was lucky to get the highest and most remote spot on the camping (and at that time they did not know I was radio-amateur…….). The second day of our stay I put up the 6m quad at about 4 meters and starting to listen the band. The first hours there was nothing I could hear but I decide to put the audio down and have the radio to scan .085 up to .220 when we were around the tent. 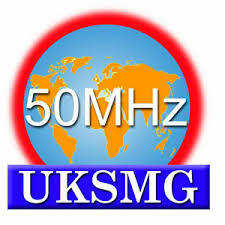 Later that evening the first CW signals were heard and the first qso’s were made. The next morning I turned the radio on and soon really strong signals started to roll in from OH and SM. 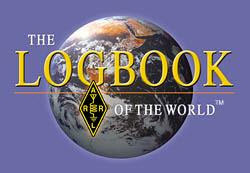 During the first weekend there was also the HF IOTA contest. No, I was not on a island but it was the occasion for me to check the HF antenna. I constructed a Bottle-Special #2 based on the simple principle I also used in SV9 (=Bottle-Special #1). A small plastic bottle filled with water fixed to the end of the antenna wire and with a nice bow it ended up in a tree next to the 6 m antenna. The AH-4 and counterpoise wire were installed and in business. 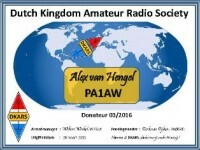 I made 5 qso’s on HF with good signals in Europe. Back to 6 meters…. I ended up in never using the 2 meter antenna. 6 meters gave me enough entertainment and plans to go mobile to hilltops were postponed to a next visit with separate antenna’s. Taking the antenna down each time we were going out was not an option (although I had thought otherwise before the trip………)Later in the week it was raining and 6 meter was dead so I played around for an hour on 30m and even worked PA0CLN and PA5TT from the home country. 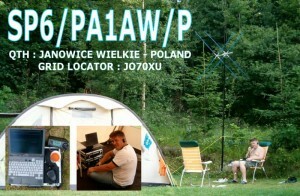 On Sunday August 7th I decided to dismantle the station and SP6/PA1AW/P went QRT. The most important result : I had lots of fun. Special thanks to Heleen for “understanding my needs” and letting me bring my radio to SP6.